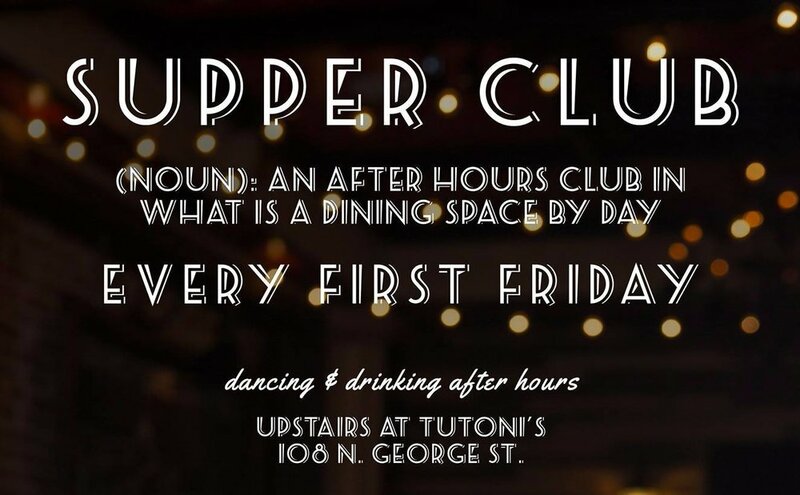 When everywhere else is closing and the First Friday November festivities are ending, Supper Club is just beginning. This is an after-hours dance party in our upstairs TT Bar and dining room. DJ Cashmire will be spinning live music and there will be drink specials, like our $5 house punch, ALL NIGHT LONG! Put on your comfortable shoes, it's time to dance it out! Make sure you invite your friends- this is one party you won't want to miss.